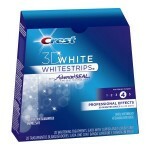 Amazon Subscribe & Save deals list: Colgate toothbrushes, Tide & more! You are here: Home / online shopping / Amazon Subscribe & Save deals list: Colgate toothbrushes, Tide & more! 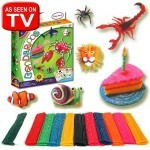 Looking for Amazon Subscribe & Save deals? Here’s the most updated Amazon Subscribe & Save deals list Please keep in mind that prices reflected are “lowest prices” and are based on the purchase of 5 Subscribe & Save items in a month and applicable coupons. Pricing can change at ANY time! 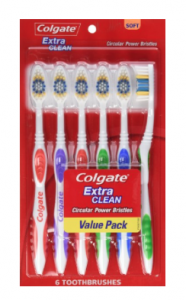 The price on these Colgate Extra Clean Toothbrushes (6 ct) has dropped again! 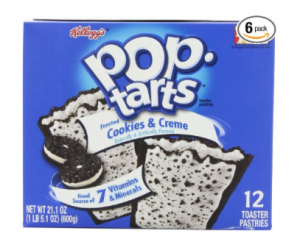 Get the six pack for $3.83 shipped with Subscribe and Save and the 20% off coupon! Get 90 Hefty BlackOut Tall Kitchen Trash Bags for just $8.58 shipped with Subscribe & Save when you purchase 5 items! My kids (and my husband, too, for that matter!) LOVE Cheez-It crackers! They’re great for lunches and team snacks, too! 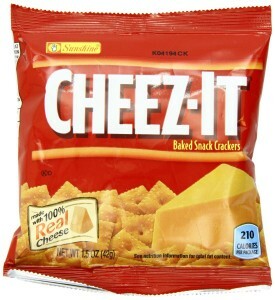 Right now, you can take advantage of this Cheez-It Crackers Subscribe & Save deal which is less than Costco and Sam’s Club pricing (prices will vary by area). Pay as little as $10.41 shipped for 36 single serve bags when you take advantage of Subscribe & Save! Choose a Subscribe & Save delivery schedule from the blue box on the right. You can cancel Subscribe & Save at any time after you receive your order. Need batteries? 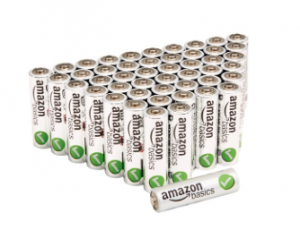 Get 48 AA Amazon Basics batteries for $10.28 shipped with Subscribe & Save! 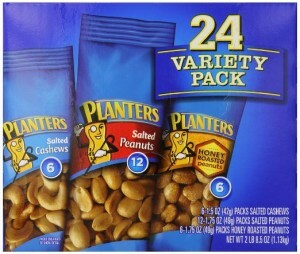 Planters Nuts Variety Pack (24 Ct) – $8.48 shipped with 5 Subscribe & Save items! 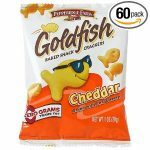 This is $1.50 less than Sam’s Club with instant coupon! 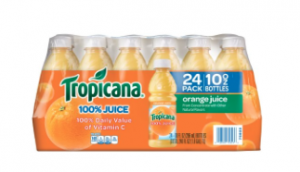 The Tropicana Orange Juice deal is back in stock! Get 24 single serve bottles for just $11.38 shipped! This beats out Costco and Sam’s Club pricing! Make sure you choose a Subscribe & Save delivery schedule from the blue box on the right! If you’re looking for Amazon Subscribe & Save deals, this Tide Pods deal is AWESOME! 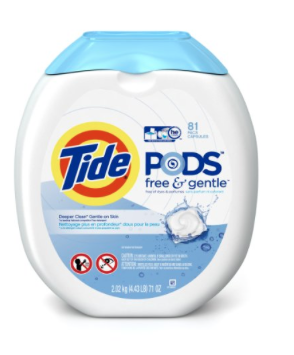 You can get Tide Pods Free & Gentle HE Turbo Laundry Detergent (81 ct) for as low as $11.74 shipped with Subscribe & Save and the $2 off coupon! That is a GREAT deal! I tried them for the first time a little over a month ago and I LOVE them now! 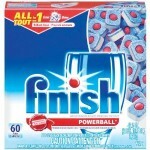 The Original Tide Pods HE Turbo Laundry Detergent is also on sale for $14.82 with coupon, which is the lowest I’ve seen in awhile! 3. Choose a Subscribe & Save delivery schedule from the blue box on the right. You can cancel Subscribe & Save at any time after you receive your order. NOTE: This offer is available for Amazon Prime members only. Pricing on Amazon can change at any time. Always verify final pricing before you complete your order. Coupons on Amazon are one time use and you must be logged in to your account to access the coupons. Some coupons are targeted to certain Amazon members, so not everyone will have the same coupons. If you no longer see the coupon via the direct link, the offer may have expired. Save 15% with 5+ Subscribe & Save items in a month! Prices reflected below were based on the time of posting and can change at ANY time. They are based on the purchase of 5+ Subscribe & Save orders and coupons when applicable. Kraft Easy Mac Original Microwaveable Single Serve Macaroni & Cheese (18 ct) – $7.98 shipped with Subscribe & Save and coupon – NEW! Trident Sugar Free Gum (12 18 count packages) – $6.40 shipped with Subscribe & Save – PRICE DROP! Q-Tips Cotton Swabs Club Pack (1875 ct) – $8.01 shipped with Subscribe & Save – PRICE DROP! 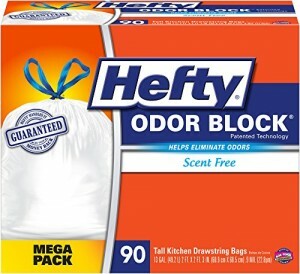 Hefty Blackout Odor Block Tall Kitchen bags (90 ct) – $10.88 shipped with Subscribe & Save – PRICE DROP! Hefty Ultimate Flex Tall Kitchen Trash Bags (76 ct) – $10.38 shipped with Subscribe & Save – PRICE DROP! Amazon pricing can change at any time. Always verify final pricing before completing your purchase! Amazon coupons are one time use per account and you must be logged in to your account to view the coupons! 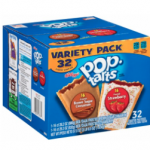 Amazon Subscribe & Save Deals: Pop Tarts, Coconut Oil & more! 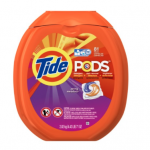 Amazon Subscribe & Save Deals: Tide Pods, Kraft Easy Mac & more!